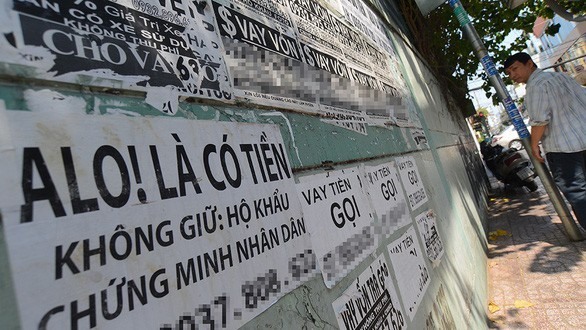 HÀ NỘI — Governor of the State Bank of Việt Nam Lê Minh Hưng issued a document early this week to ask co-operation from local authorities in expanding credit, part of efforts to prevent loan sharking. The central bank urged leaders of provincial and municipal authorities nationwide to implement measures to expand credit access for business, production and consumption. It also asked for help from the Việt Nam Fatherland Front, Việt Nam Farmer’s Union, Việt Nam Women’s Union, Việt Nam Veterans Association, HCM Communist Youth Union and the Việt Nam General Confederation of Labour. Co-ordination between State management agencies and banks was necessary to enable residents to access credit programmes more easily, the central bank said, adding that this would help prevent residents from seeking capital from informal sources. Management over financial services companies and pawnshops must be tightened, the SBV said, adding that communication must also be enhanced to improve awareness of residents about risks of black credit and ways to access safe financial services.